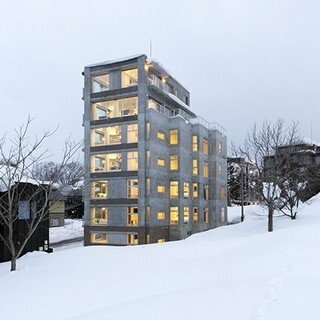 Spend your vacation in one of Niseko Landmark View's apartments, available in 2 or 3 bedroom options. Spread over six floors, all with floor-to-ceiling windows showcasing majestic views of Mt. 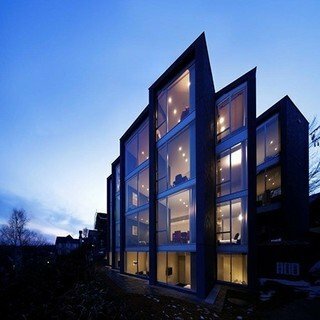 Yotei or forest scenery, these apartments are the perfect combination of convienence, comfort and style. Enjoy a sleep in at Niseko Landmark View, safe in the knowledge that Niseko's famous powder is only a few hundred metres away. Perhaps stop by the 24 hour reception, to pick the brains of the knowledgable staff about the best lines to be had on the mountain, or drop in to the on-site cafe/deli for a freshly baked pastry on your way to the slopes. After an exhilarating day chasing powder or racing down groomers, relax by the fireplace in our cosy lobby. Maybe you would like to organise a snowmobiling tour or CAT skiing, feel free to have a chat to one of our guest services agents located on site. In the evening take a stroll and sample some of Niseko's excellent culinary options only a few minutes walk away. "We stayed at Niseko Landmark View for 3 days and it was an awesome experience. We had 7 people with 3 bedrooms. The living room is spacious. We had meals and activities here and had a lot of fun. Two bathrooms were a convenience for us. Also, we saw the sunshine near Mt. Yotei in our living room. It was a really beautiful and unforgettable experience. All staffs are helpful and polite. They were also helping us to receive and deliver our luggage. " "Great experience for our first visit to Niseko. Staff at the Landmark View were very helpful and knowledgeable, and the accommodation was perfect for a family of 4. All the transfers etc were very smooth with no hiccups. The rental gear was awesome and the kids loved their ski lessons and instructors at NISS. Ski conditions were pretty good, but not much you guys can do about that...especially in mid-March!!! Thanks for a great stay. " "Having stayed at Gondola Chalet on our last three trips, we tried Landmark View on this trip. As always the service provided at check in and throughout the stay was excellent. The deluxe apt had the most amazing views of Mt Yotei. Facilities were super clean and home-like, location is hard to beat, so close to Hirafu Gondola and yet an easy stroll to all restaurants and bars. Excellent value for money, will be back." 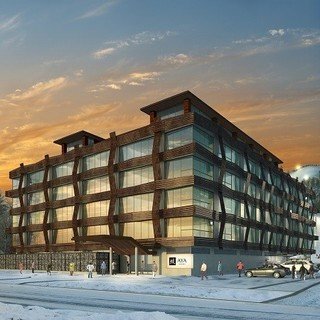 "The team at Vacation Niseko were brilliant in connecting us with ski hire, restaurant recommendations and booking restaurants, as well as booking our accommodation at Niseko Landmark View.O ur apartment was very spacious and I would highly recommend it for a larger family. The staff at Landmark View were extremely helpful, especially when we needed to get the kids to ski school early in the morning. THANK YOU for a wonderful holiday." "Loved the convenience of this location, with the bus stopping right in front and so close to the welcome center and a variety of great restaurants. The front desk was super nice and helpful as well! "